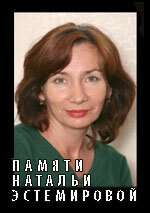 On March 28 2007, at 5 PM, at the Sakharov Museum and Public Center located at Zemlyanoy Val 57, bldg. 6 (a five minutes walk from the subway station "Chkalovskaya", toward the Yauza River embankment, then turn left) there will be conducted a rally against the blasphemous exhibition the "Forbidden Art - 2006", the exhibition that incites inter-religious strife and provokes bloodshed. The rally is organized by Moscow Orthodox youth organizations and pursues as its GOAL not just closing of this provocational, anti-Orthodox, and anti-state exhibition, which is not by any means the first provocation staged by the Sakharov Center, but CLOSING THE CENTER ITSELF, the Center that for many years has been a sewer accumulating every anti-Orthodox, anti-state, and anti-Russian element, the place where they group together, organize, and conceive provocation after provocation, where they meet their sponsors (foreign sponsors as well), and receive ideological priming. In this sense, the Sakharov Center is not only a center for organizing provocations, but also an ideological center for the so-called subversive activities, one of the several "crystallization points" at which the strategy of creating and sustaining social tensions, of provoking conflicts and riots, and the ideology of the fight against the Faith and the Nation are being developed. The rally's organizers are determined to prevent this turn of events. Another goal of the rally is to demonstrate that Orthodoxy is not just one among other religious confessions in today's Russia, but represents the FRONTLINE at which the forces of GOOD and EVIL fight in Russia. This is why the brunt of provocations and hatred is directed by subversive forces at home and by their sponsors and patrons abroad against Orthodoxy and not against other confessions. But Orthodoxy is not only the FRONTLINE, but is also the YOUTH OF THE WORLD and the world outlook of the new, young generation that is coming to replace the empty generation of the mid-20es century brought up on avarice, pursuit of pleasures, and hedonism. This old generation will soon leave the scene in disgrace, leaving behind nothing but material and spiritual degradation. But for the new generation that is coming to replace them and that is not yet clearly discernable the words "OUR FAITH IS STRONGER THAN PRAGMATIC CALCULATIONS" are not an empty sound, but their inner core. In this sense, this rally is an inspection of new, young forces of the Orthodox movement of Russia, a test of its strength and maturity. So help us God! Glory to Russia! 2. Orthodoxy is a MILITANT world outlook! 3. Orthodoxy is an ideology of YOUTH and STENGTH! 5. Anti-Christianity and liberalism are enemies of the people! 6. Get out of Russia! 7. Enemies of Orthodoxy have no place on the Earth! 8. Say NO to compromises with the ENEMY! 9. Laws of Russia are on the side of ORTHODOXY! 10. Burn out SATANISM with red hot iron! 11. EVIL calls for RETRIBUTION! 12. Close the Sakharov Museum, a hotbed of provocations!